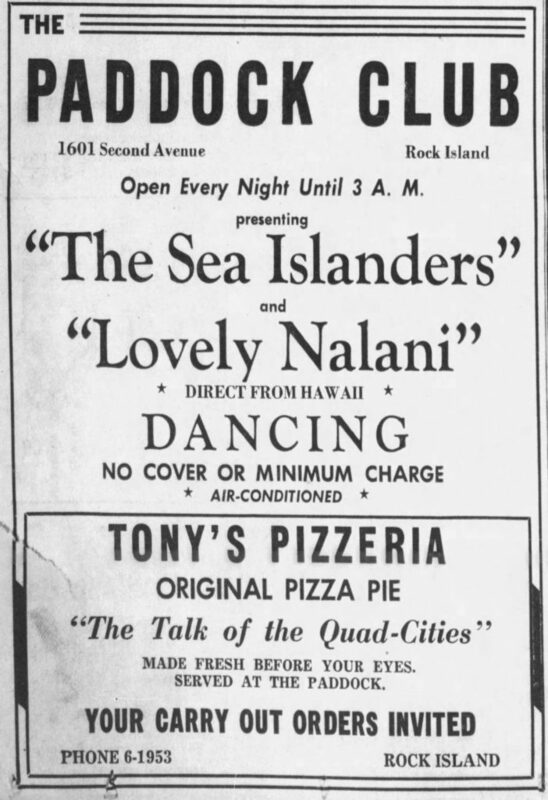 The first place to serve pizza in the Quad Cities was Tony’s Pizzeria, inside the Paddock Club in Rock Island, Illinois. 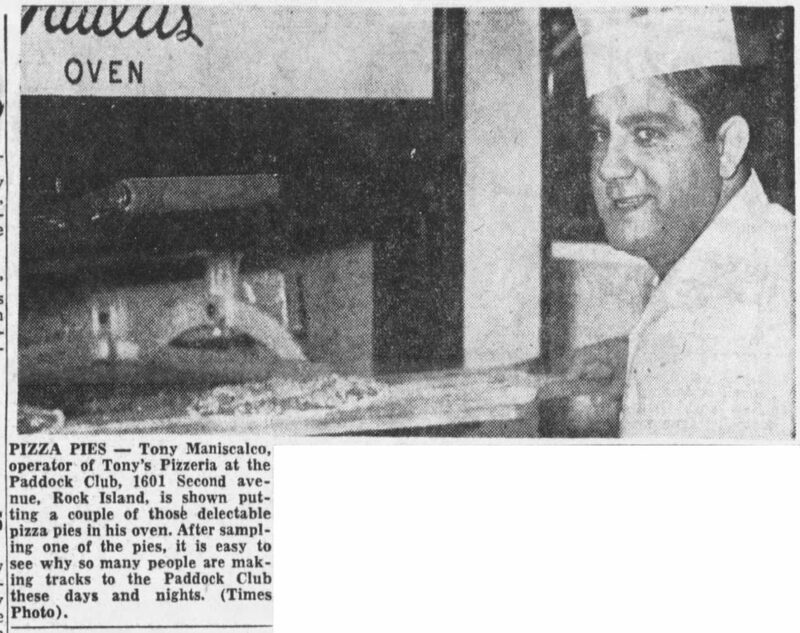 Oscar Liske took over ownership of the club formerly known as The Horsehoe on April 15, 1952, and Tony Maniscalco began tossing dough in its kitchen soon after that. 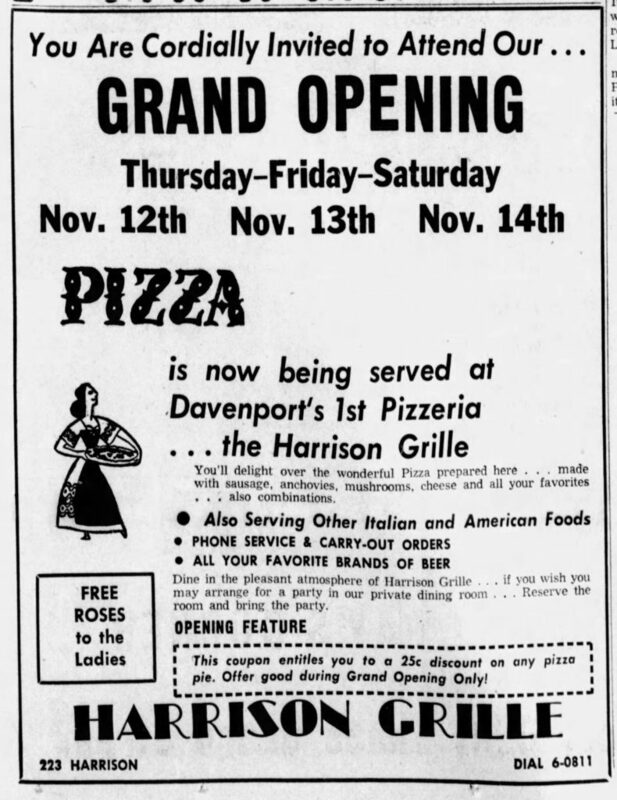 The Harrison Grille called itself “Davenport’s 1st Pizzeria” in this newspaper advertisement published in November of 1953. The Grille had been operating since the 1930’s and had recently come under new ownership. Later in the 1950’s, the Italian Village opened across the street at 220 Harrison. The restaurant was incorporated on June 10, 1955 by Oscar Liske, manager of the Paddock Club. The building had been previously occupied by Johnny Hartman’s Restaurant. Have you any memories of pizza-eating in the QC to share? 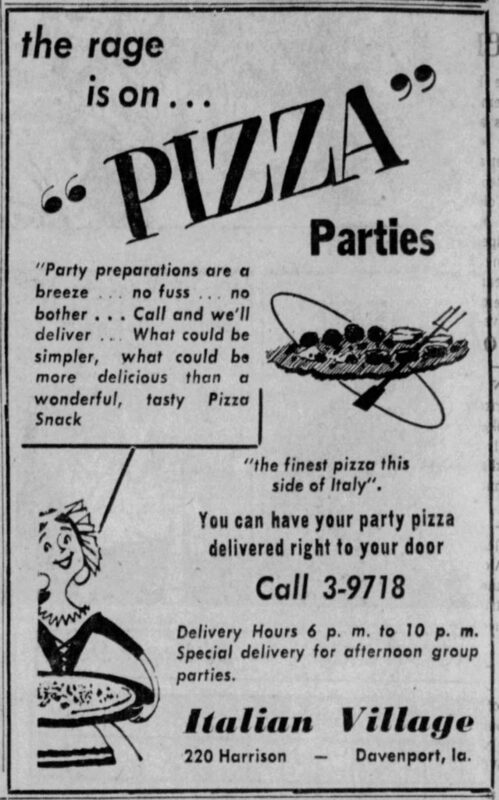 This entry was posted in Local History and tagged national pizza day, Restaurants, the paddock club, Tony Maniscalco, tony's pizzeria. Bookmark the permalink.